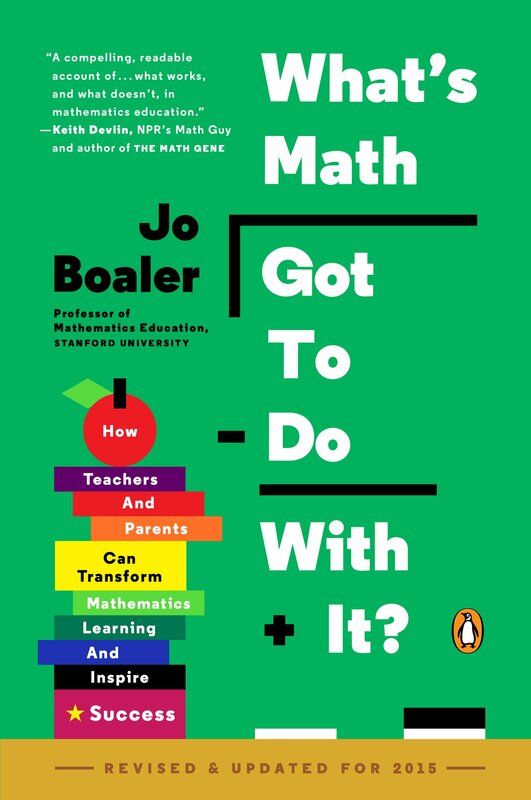 Review: Boaler (2015) - What's Math Got to Do With It? I have read a lot of research papers, articles, books, magazine articles, and blog posts about math education and find it impossible to keep them all straight. Writing a review helps me process and remember the main points and gives me something I can look back on. I hope it helps you too. Check out all my reviews. What's Math Got To Do With It? is the hot math book of the moment, and author Jo Boaler is a current superstar of the math education world. Originally from England, Boaler moved to the US in 1999. Despite outrageous harassment from a pair of Californian mathematics professors, she has made a name for herself as a promoter of best practices in math education. What's Math Got To Do With It? is her attempts to synthesize research and present it in an accessible way to parents and teachers to improve the quality of math education in this country. She highlights many of the well-known issues in math education: the ineffectiveness of lecture and rote practice, over-emphasizing summative assessments particularly multiple choice tests, tracking students by ability, and reduced expectations for female students. Along the way she make a mostly well-articulated case for how to improve math education in the United States. I mention the US specifically, because this book is clearly written with the United States education system in mind. While some of Boaler's research took place in England -- including her significant longitudinal studies -- the book begins by raising alarms about the US's performance on international tests. In the book Boaler contrasts the practices of more successful countries (such as Finland and Singapore) with the practices of the United States. Rather than go through all of the ideas of the book, I want to share some of the big points that struck me as interesting or particularly well-argued. In discussing why many students see school math as useless, Boaler discusses ways in which students develop the idea that math is not applicable to their lives. She blames this partially on the idea of psuedocontexts. A psuedocontextual problem is one which applies mathematics concretely but does not allow students to rely on any of their real-world knowledge. For example, if you can buy a 1/4 of a pizza for $4 how much would a whole pizza cost? In the real-world, we know that buying larger quantities of food means paying a reduced rate, but as Boaler explains "none of this matters in Mathland. "Page 52 Dan Meyer is making a similar case in his talk on modeling which he has made available for free and is great. I was unfamiliar with the concept of psuedocontexts prior to reading this book. I definitely understand her point and appreciate the way in which it can contribute to unproductive student beliefs; however, I am not sure I agree with the idea that contexts "should only be used when they are realistic and when the contexts offer something to the students, such as increasing their interest or modeling a mathematical concept. "Page 53 Maybe I am splitting hairs, but I think psuedocontexts can still be used beneficially as long as time and attention are spent helping students become aware of the assumptions their are making. Nearly any modeling of the world using elementary mathematics is going to involve assumptions being made; we just need to make sure that students are thinking about them. While discussing the United States commitment to standardized testing, Boaler dropped this bomb: "It is hard to find a single multiple-choice question used in Europe--in any national assessment, in any subject, at any level, in any country--yet almost all of America's test questions are of a multiple-choice format. "Page 65 I found this to be shocking. I am not as familiar with testing practices because I work at a private school, but this section of the book contradicted some of my prior understanding. First, I was shocked that multiple-choice questions play little or no role in assessing students in Europe. I know that multiple-choice tests are a poor way of assessing student achievement, but I was under the impression that other tests were too expensive because of how time consuming they are to grade. My understanding is that no one had been able to develop a test that measures real student understanding that can be used widely and at a reasonable cost. Does this mean that Europe has a solution to this problem? Or, are they just testing so much less that the costs are relatively much more minor. If anyone has a recommendation for further reading on this topic I would great appreciate the reference. In the same chapter where Boaler mentions testing in Europe, she addresses the distinction between formative and summative assessmentsShe uses "assessment for learning" to refer to formative assessments and "assessment of learning" to refer to summative assessments. as well as standards-based grading. While I agree with the conclusions she makes, I thought her argument was too unspecific to be useful to most parents and teachers. Clearer examples of both formative assessments and standards-based grading would have made it clearer. One point she makes well is that percent and/or letter grades cannot go on tests for feedback to be constructive. She cites a study in which children were put into three groups.She cites a study by Ruth Butler from the Hebrew University of Jerusalem. The description begins on page 99. One group received traditional grades, another received only comment-based feedback, and a third received both types of feedback. Unsurprisingly the students who received comment-based feedback outperformed the students who received traditional grades. However, the group receiving ONLY comments outperformed the group receiving BOTH comments and grades. Boaler does a wonderful job of clearly outlining the case for eliminating tracking. She shows how it could help the US improve its math education, but also how it would benefit all students including the high achievers. If you are making the case for eliminating tracking at your school, I would highly recommend this chapter as a persuasive case that could be shared with colleagues, teachers, parents, and administrators. This is a great book! I think it suffers some from trying to write for too many audiences, but it makes many important points clearly and in a way that is accessible to most. I definitely recommend that you check this out. Review: Brownel (1947) - "The Place of Meaning in Teaching Arithmetic"
I have read a lot of research papers, articles, books, magazines, and blogs about math education. I find it is impossible to keep them all straight! Writing a review helps me process and remember the main points. It's like when they made you write a paper about the reading you did for class in school. Consider this is my free gift of cliff notes to you. Check out all my "reviews". 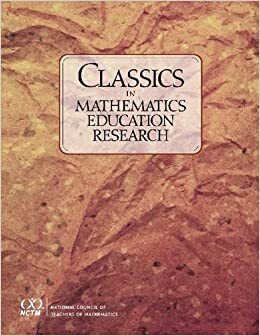 I picked up an amazing book at NCTM's Boston Conference: Classics in Mathematics Education Research (Amazon). It is a greatest hits album of the best and most influential papers on mathematics education. The editors -- Carpenter, Dossey, and Koehler -- provide a context for each article, and then you get to enjoy...well...a classic! The first article in the book is "The Place of Meaning in the Teaching of Arithmetic" by William A. Brownell from 1947 (JSTOR). Brownell is recognized as a significant contributor to the argument that memorizing algorithms and quick computation skills does not necessarily reflect understanding and is not the best way to educate our students. In this article he lays out reasons why we should make arithmetic make sense to students and addresses common objections to teaching arithmetic with meaning. "'Meaningful' arithmetic, in contrast to 'meaningless' arithmetic, refers to instruction which is deliberately planned to teach arithmetical meaning and to make arithmetic sensible to children through its mathematical relationships." The block quote summarizes quite nicely (and in 1947 no less) what so many of us strive for in our lessons in math class. We want our students to understand the mathematical principles behind the procedures we are teaching. We want our students to understand why, for example, you can "carry a 1" to the next place value and what that represents mathematically.Many teachers now use the term regroup instead of carry to better represent that concept. In recognizing the need for developing student understanding, Brownell is careful to point out that we cannot prepackage understanding in to a quick digestible bite: "For relatively few aspects of life, for relatively few aspects of the school's curriculum (including arithmetic), do we seek to carry meanings to anything like their fullest development. Moreover, whatever the degree of meaning we want children to have, we cannot engender it all at once. Instead, we stop at different levels with different concepts; we aim now at this level of meaning, later at a higher level, and so on." He rightly points out that students need time to develop meaning and that will mean rethinking the rote practice methodology. I am not sure I would group "meanings of arithmetic" in this way, but it is neat to see how he was thinking about this. In particular, I find it interesting that he gave the role of the number system its own category. His categories do seem to include everything I can think of, but I am not sure that categorizing the concepts brings anything to understanding to the discussion. Perhaps it was just an opportunity to show the reader how much meaning truly exists in this subject. Unfortunately, Brownell did not have much evidence to support the idea that teaching arithmetic with meaning is better for students (remember, we are still in 1947). He cites anecdotal evidence and common sense as well as the fact that "[meaningless] programs have not produced the kind of arithmetical competence required for intelligent adjustment to our culture." Brownell, who it should be clear by now likes lists, also outlines four common objections to teaching arithmetic with meaning and attempts to address them. Is understanding the arithmetic really essential to learning arithmetic? Isn't understanding arithmetic just too hard for young kids? Do we really have the time to teach arithmetic so it can be understood? If students do understand arithmetic, does it get in the way of their understanding later? As in, thinking about the meaning of an algorithm will make it take longer to complete calculations in the future. Response to (1): Argues, essentially, that when we memorize through rote practice, we forget quickly. Moreover, it is impossible to practice all skills enough to be proficient at them when we don't understand them. Response to (2): The goals of understanding should be appropriate for the age. But, even younger students can understand simple examples and begin to see how they can apply/relate to more complex ones. He brings up the point that, if taught for meaning, students do not necessarily have to understand EVERYTHING perfectly. But, whatever is understood will be beneficial. Response to (3): Takes more time, yes, but the gains are worth it -- notes that there is little evidence of that yet. Again, were still in 1947. Response to (4): They need to understand it at first, but the goal is still to get them to automaticity. I definitely want to write more about the goal of automaticity in a later post, but remember that pocket calculators weren't around until the '60s or '70s.Intel had to invent the microprocessor first. Of course, they did have slide rules before then. Being able to calculate quickly and accurately was more essential when everyone didn't have a calculator in their pocket. 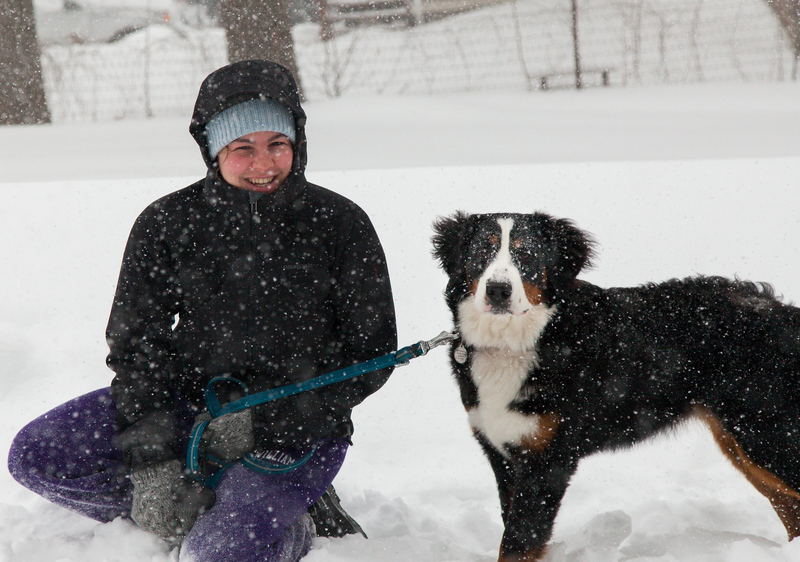 In some ways this article was heart-warming, and in others it was disheartening. It is amazing to see how clearly Brownell was able to articulate some aspects of the modern math education movements well before it became mainstream. It is, however, frustrating to still need to rehash so many of these arguments so frequently. If these arguments were being put forth 68 years ago, you would think it would be more settled by now, especially given the overwhelming evidence in support of "meaningful arithmetic" nowadays. I'll leave you with one final nugget. Brownell really was on the forefront of many of these ideas and one line from his paper struck me as especially predictive: "The culture is highly quantitative and is steadily becoming more so." No kidding! Brownell sure saw the tide turning, I just hope he wouldn't be disappointed in the progress we have made.